This post is co-authored by Anand Johnson, Senior Advisor, Technical Marketing, Dell EMC VDI Ready Solutions. Ensuring a good user experience is a challenge for businesses interested in moving toward a digital workplace. While it seems intuitive that user experience improvement leads to increased productivity, that’s not the primary goal. “Increasingly, the success of digital workplace programs is being defined by how well business goals align with user needs, rather than just by productivity and costs savings,” said Esteban Herrera, partner and global head of ISG Research, in a news release about ISG’s recent Digital Workplace of the Future report. In the digital environment, the user’s emotions and attitudes define the user experience. Aligning with user needs includes providing an experience that enhances how a person perceives and feels about the digital workplace. In fact, the ISG report identifies a shift away from traditional service level agreements (SLAs) in favor of end-user experience agreements (XLAs). The goal of an XLA is to monitor the user’s experience, identify gaps affecting the user, and then take corrective action. Ultimately, if the user enjoys working in the digital workplace, the benefits can include embracing new digital tools that improve productivity and collaboration with the business to further improve the digital transformation. Operating systems and digital workplace applications are also designed to enhance the user experience, as software companies realize the important role that the application experience plays in the selection process. For example, each version of the Windows operating system has made advances in improving the user experience. In my own experience, it was an adjustment moving away from using shortcut keys, to the more visual experience provided by the Quick Access Toolbar in Office programs. However, in exchange, we receive a visually rich and intuitive user experience that created a demand for improved graphics virtualization. It’s interesting how the presentation of color can play a significant role in the user interface of a program. “Research reveals people make subconscious judgments about a person, environment, or product within 90 seconds of initial viewing and that between 62% and 90% of that assessment is based on color alone,” according to CCI Color Institute for Color Research. This research highlights the importance of the presentation layer in the digital workplace. While a graphics processing unit does not affect the selection of color used in a user interface, it does affect color depth. In general, the greater the color depth the broader the spectrum of colors available. The new NVIDIA T4 data center GPU with NVIDIA GRID software is designed to provide a native-PC user experience in a digital workplace. Users can use multiple screens and watch 4K video. The T4 also supports VP9 video decode and H.265 (HVEC) encode/decode and provides support for more than 1 TB of system memory. Dell EMC now offers an integrated, validated, and tested solution for the digital workplace. The virtual desktop infrastructure (VDI) solution combines PowerEdge servers with the NVIDIA T4 and GRID software and provides a comprehensive pathway to improving the user experience. After component integration, the solution is performance-tested to ensure its validity. As part of the testing process, engineers tune the system to maximize performance and efficiency, and document best practices. Finally, a separate team of experts evaluate the test results to ensure that the systems can be properly configured and sized for customers. Monitoring the Dell EMC VDI solution is free and easy with Live Optics. Live Optics is a remote and agentless software for collecting data about your PowerEdge environment. It streams workload data from your system to an online analytics engine that measures, analyzes, and reports workload characteristics. Live Optics saves time by automating data collection and drives transparency by enabling system monitoring. The goal of the new Dell EMC solution is to accelerate the time-to-value for the business in achieving an enhanced user experience for digital workplace users. Every digital workplace solution is different, requiring the design and size of the solution to match a customer’s requirements. This solution offers a great deal of flexibly in how it can be configured and sized for digital workplaces. Thus, customers have the capability to start with a foundation that matches their current requirements and incrementally grow as the business grows. The user experience in the digital workplace doesn’t have to be a challenge. Companies can quickly enhance the digital workplace with a powerful combination of NVIDIA T4 cards, GRID software, and PowerEdge servers. This VDI solution was developed by a team of experts who have used digital workplaces, designed solutions, and been customers themselves. They understand the value of solutions that are easy to use and enable your business to quickly achieve its goals. Anand is working as a Tech Marketing Engineer in Dell EMC VDI ready Solutions. He is specialized in VDI technologies, primarily based on VMware and Citrix Suites. In his role as Tech Marketing Engineer, he analyzes VDI solutions and build collaterals, which enable customers to understand technology better. 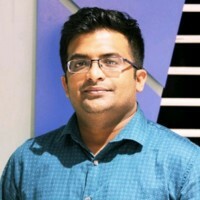 Prior to joining Dell EMC, Anand worked on projects related to VDI solutions and managed all aspects of design and implementation of desktop virtualization projects.